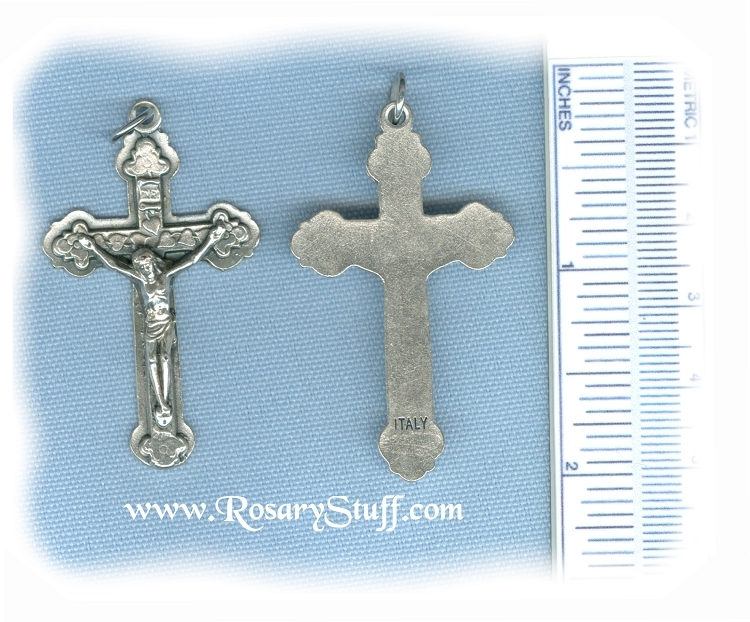 Italian oxidized silver plate Heart Crucifix. Sized at just under 1 7/8 inches tall (including ring) and 1 1/8 inch wide. This newer version is stamped, not assembled so the detail and corpus are different. It's also a thinner crucifix than before. Please look closely at the picture for more details.